Attachment is the deep bond which develops between a child and their primary caregiver in the first few years of life. Secure attachments have positive outcomes for infants and children throughout their lives. Attachment refers to a particular aspect of a child's relationship with their parents and other carers in their life. It is the child's instinct to seek closeness to specific people who will comfort, protect and/or help organise their feelings. Infants usually have an attachment relationship with a number of people who have provided care including mothers, fathers, grandparents, foster parents and early childhood carers. Infants are born ready to build an attachment to their parents; they are hardwired for relationship. It is the most researched approach to looking at child-parent relationships. How does the attachment system function? Your 12-18 month old will let you know they need you to help them feel safe and calm by signalling they're upset (by crying, looking worried, calling for you) and coming to you. How many attachment figures do infants usually have? Infants usually have around 4 to 6 attachment figures depending on their experiences of being cared for. They may, however, have more adults who feel bonded to them. Each attachment relationship reflects the quality of care they have received over preceding months. Are there different patterns of attachment? 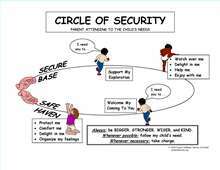 Yes there are and depending on how an infant is cared for by a specific person, they may develop one of the following patterns: either secure, insecure organised or insecure disorganised. The attachment relationship may change over time; towards security or insecurity if the quality of care from a parent changes in a major way. 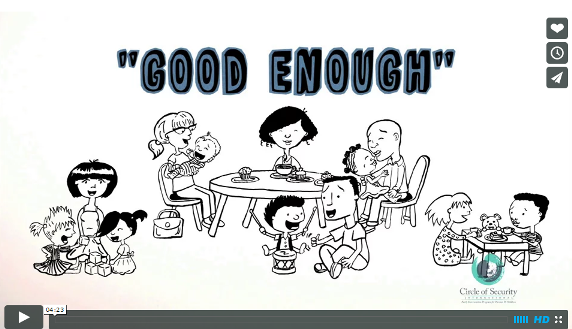 How does a secure attachment relationship between a child and parent develop? It is the early care of an infant especially around supporting the infant when emotionally unsettled (dysregulated) that lays the foundation for a child's attachment relationship with that parent. Usually, you can see signs of the infant's attachment pattern with a parent towards the end of the first year. Warm, predictable, sensitive care when an infant or child is emotionally unsettled, anxious, or fearful, is important for supporting the development of a secure attachment relationship for that infant with that parent. 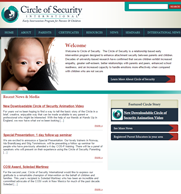 Watch the Circle of Security video below (click on the image) and see the links to the Circle of Security website at the bottom of this page for more information. In the early months, understanding and responding to a baby's cues lays the foundation for the baby developing a sense that they are loved and lovable. Care that frightens the child, is hostile, is very insensitive or interferes with a child's own initiatives does not support secure attachment. It can be very hard for parents, even with the best of intentions, to care responsively with warmth, consistency and predictability, if not cared for like this as a child themselves. It is also difficult when a parent has an addiction problem, is severely stressed and/or very ill especially with a serious mental health problem. 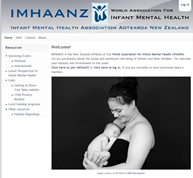 Contact the Infant Mental Health Association Aotearoa New Zealand to request information about supports and services available in your area. Raising Children Network is an Australian online parenting resource for all stages from pregnancy to newborns to teens. The Centre for Attachment is a New Zealand based agency dedicated to providing support, education and training for families, organisations and communities on optimal child development and attachment. A key role of being a parent is to provide a safe and secure base from which your baby can explore the world around them. The secure base means they know that they can come back to you. This gives your baby the message that you are attentive to their wants and needs. 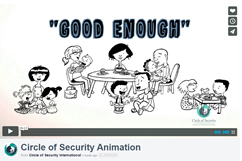 A 4 minute animation video which explains the Circle of Security. The Watch, Wait and Wonder Intervention supports parents and their babies/young children to have improved relationships, with research demonstrating its capacity to change problem attachment patterns. The intervention was researched and developed in New Zealand. The website has information for parents and practitioners. Infant mental health is the area that focuses on healthy social and emotional development of children from birth to their fourth birthday, and on the discipline of practice and research. It is especially concerned with promoting optimal relationships for infants and young children. Members come from all over New Zealand and from a variety of backgrounds. The organisation is a good contact to find out about resources and services across New Zealand. A 25 minute New Zealand video for all new parents. It looks at baby's social communication in the first 3 months and how parents can learn to read their cues and respond. The video is an initiative of the Counties Manukau District Health Board. To order a copy, visit the Middlemore Foundation. 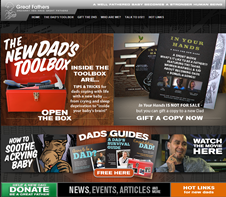 Resources especially but not exclusively for fathers - a lot of information about comforting and settling babies and the importance fathers have in supporting their children's development, including building secure attachment relationships. You can click on an option to learn more about the cues babies give us when they're tired, hungry, want to play or need a break. Information about how you can help your baby's brain development through bonding – lots of smiles, cuddles and loving words. See 'bonding in pictures'. 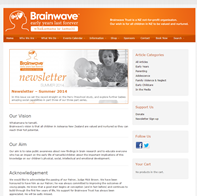 Brainwave was formed as a response to new scientific evidence on the impact that experiences in the early years have on the brain development of a child. This page last reviewed 02 July 2015.